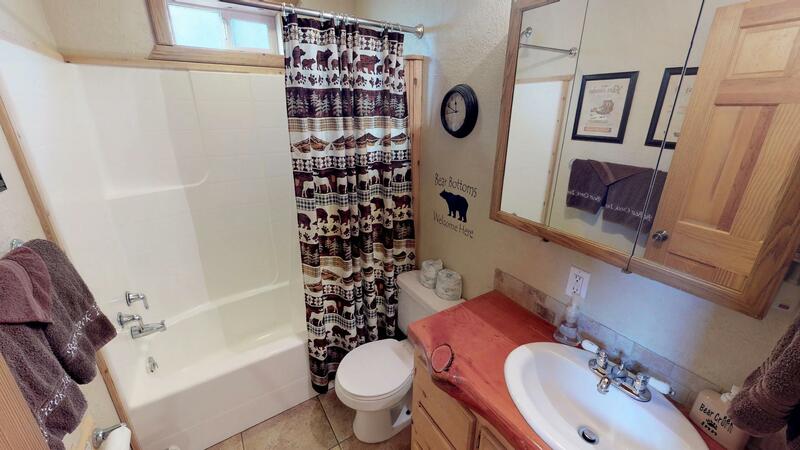 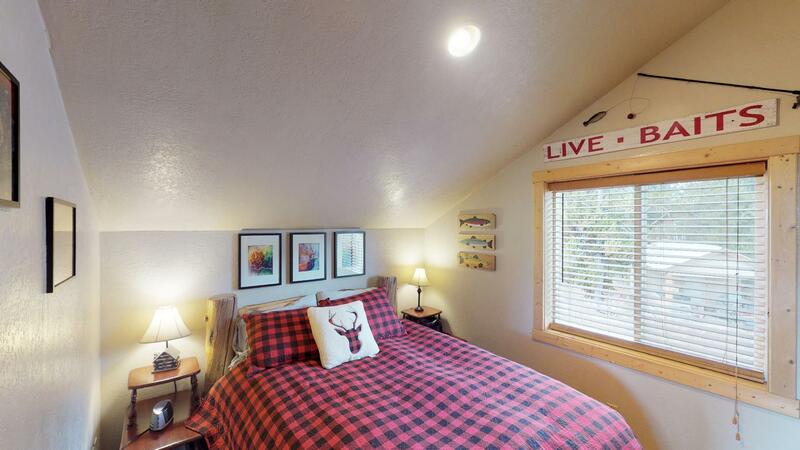 Enjoy everything this cabin has to offer including a private hot tub, wifi, satellite T.V., and charming decor. This inviting living room is the best place to hang out and enjoy your time in Yellowstone Country. Come relax in the comfy beds that Bear Creek has to offer. 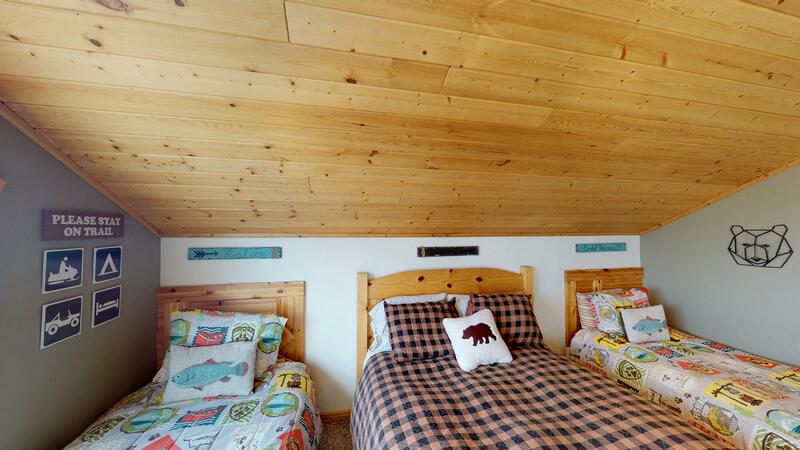 Not only are the beds comfy the decoration is spot on! 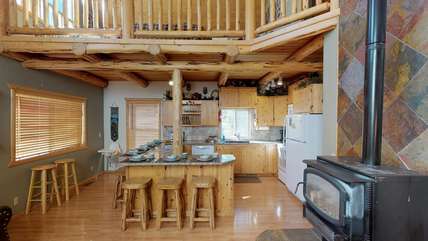 The kitchen provides plenty of room to prepare, cook, and eat. Bear Creek has plenty of cups, plates, bowels, and utensils for your group. The kitchen has anything you might need to prepare a delicious meal. 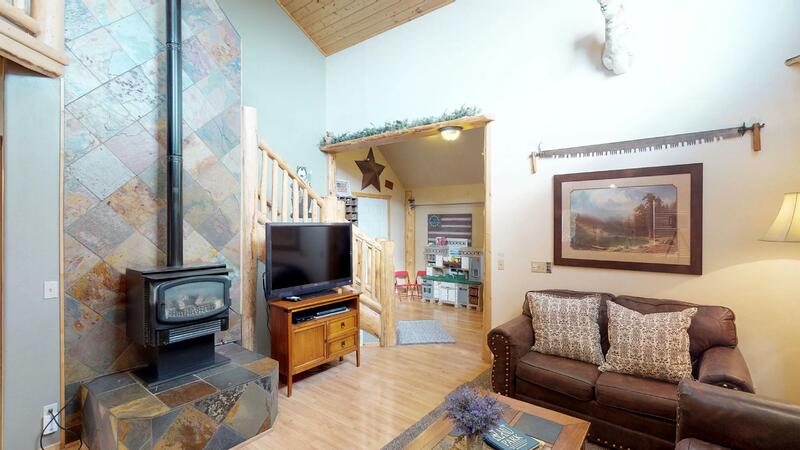 This cute cabin even has a flat screen t.v. 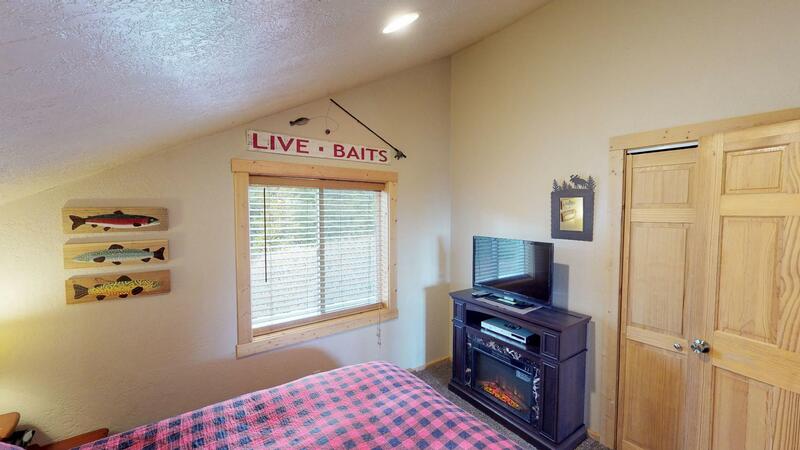 and a fireplace. 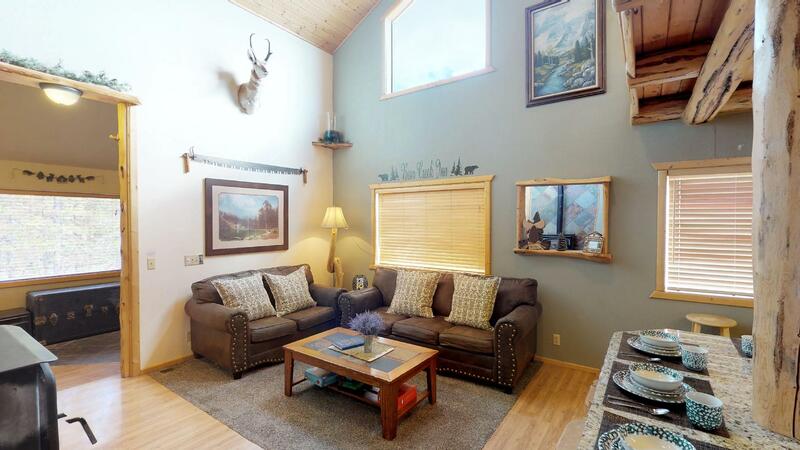 This living room also offers comfy couches to relax after your adventures in Yellowstone. 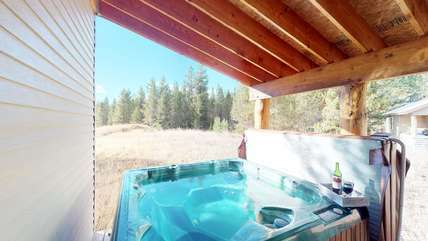 Enjoy the hot tub after along day of exploring. 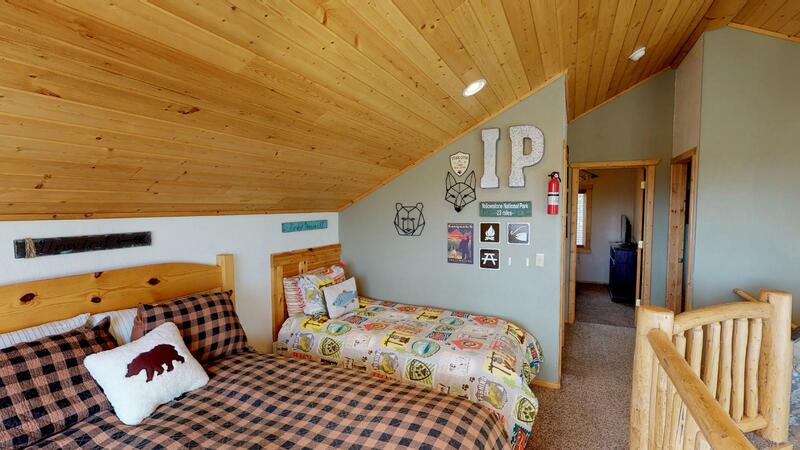 This kids loft is themed after Yellowstone National Park. 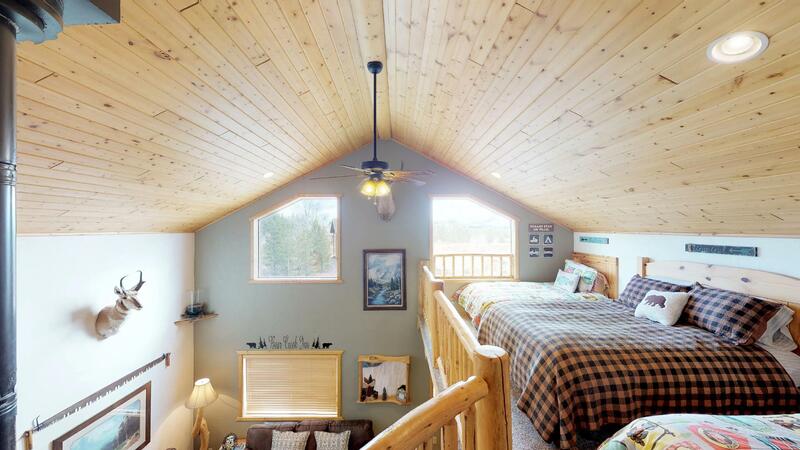 Another view of the kids loft. This room even has an electric fireplace. Bedroom number 2 located upstairs. This king bed is the best place to relax after a long day. 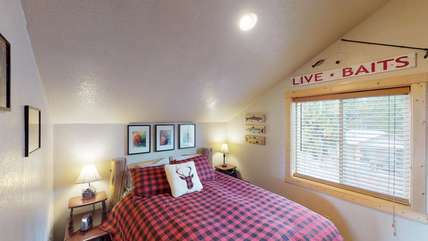 Another view of the second bedroom upstairs. 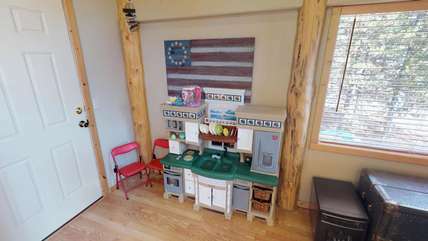 A play kitchen perfect for all those kiddos that need something to do. 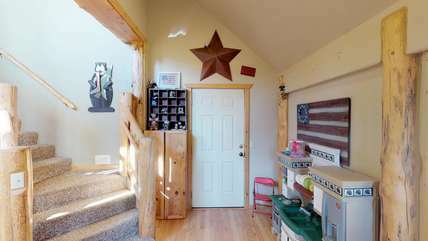 The mudroom that holds all your coats, shoes, and coolers. 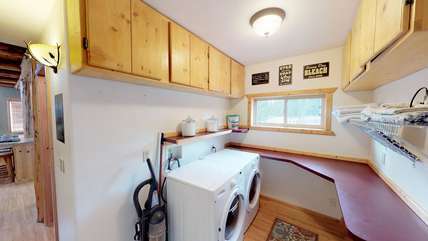 A washer and dryer is located at the cabin for your use. 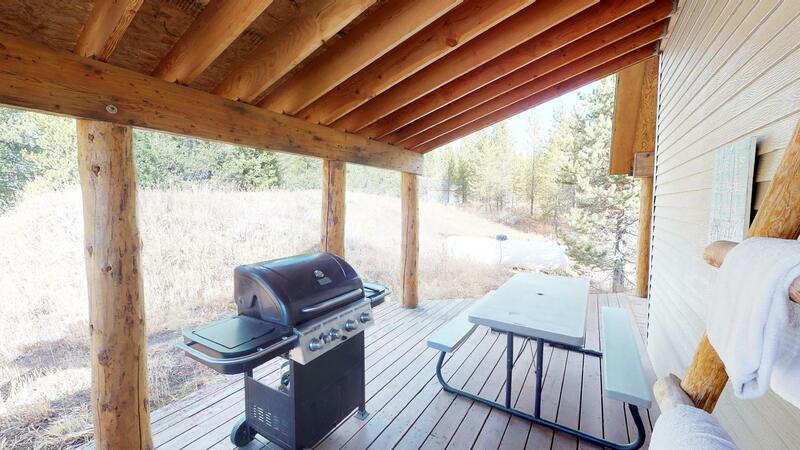 A barbecue and picnic table are available for your use. Come stay at out Bear Creek! 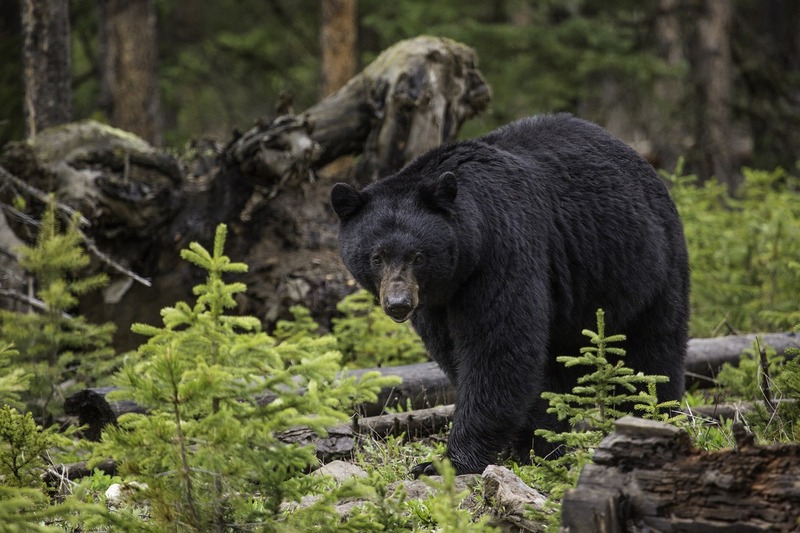 Bears can be spotted during your stay if you have a careful eye. 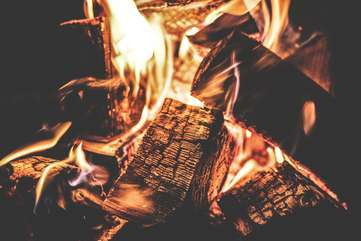 Bear Creek has a fire pit that allows you to roast that perfect marshmallows. 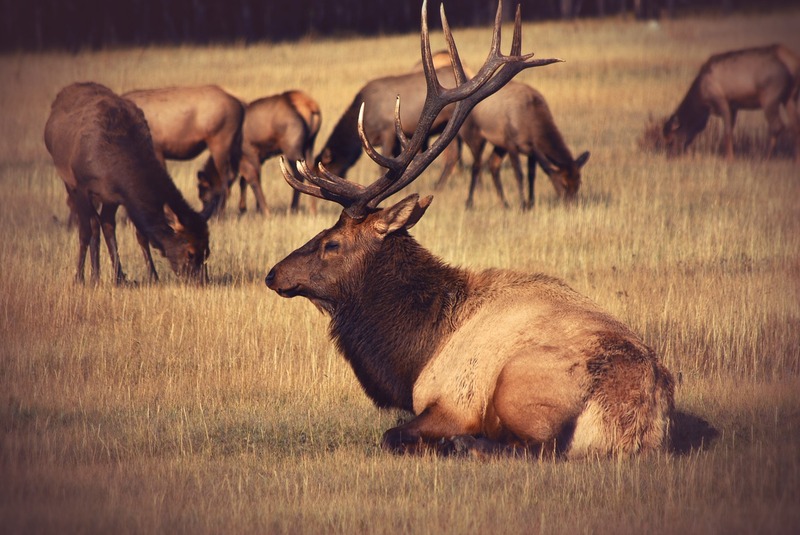 Elk can be spotted in Yellowstone Country also! 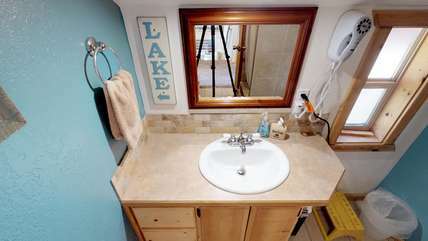 The reservoir is only a 10 minute drive from the cabin. Bear Creek Inn is a beautiful three bedroom home that is tucked away on the back end of our seven acre Enchanted Forest Resort. 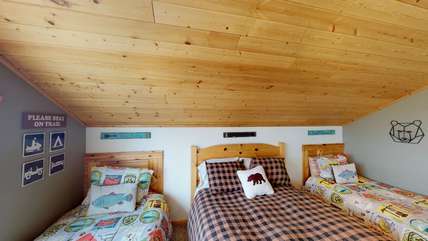 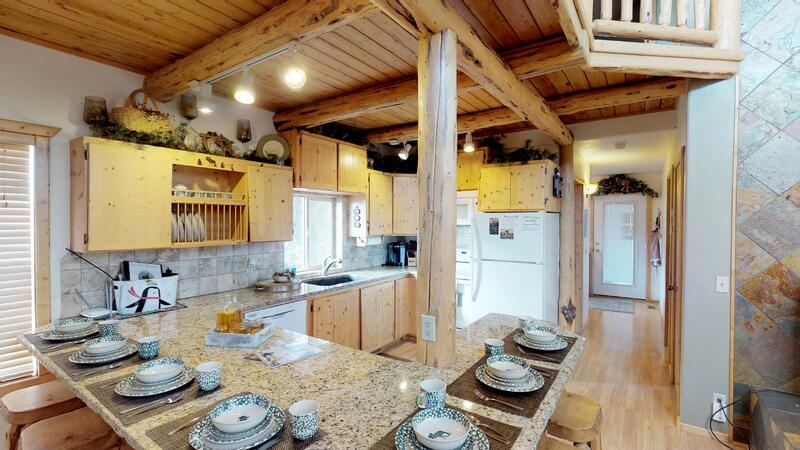 This beautifully decorated cabin offers all the amenities you could ask for in your very own mountain cabin. 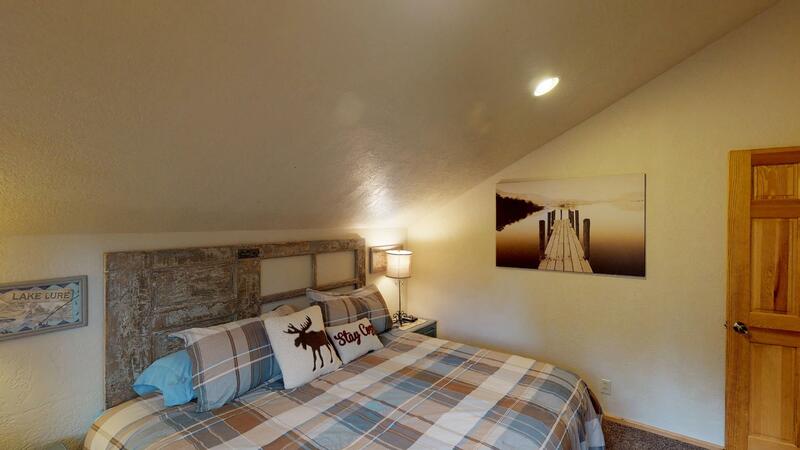 Two of the three bedrooms have a queen size bed, one with a king, along with extra beds in the large loft. 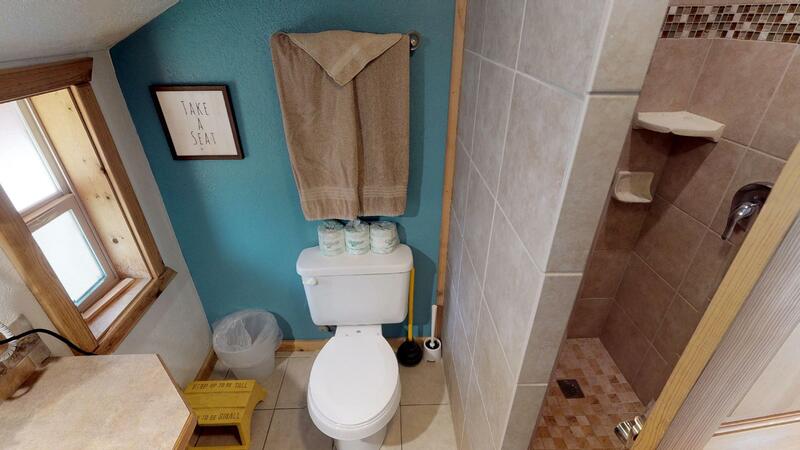 This three bedroom, two bath home has two levels. 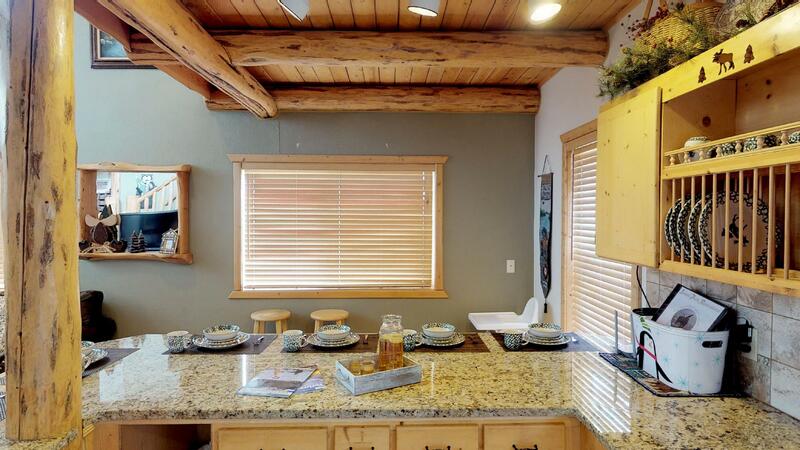 On the main level you will find a fully equipped kitchen with exquisite granite counter tops, a comfortable living area with satellite TV and full size bathroom. Main level also includes a laundry area for guest's convenience. 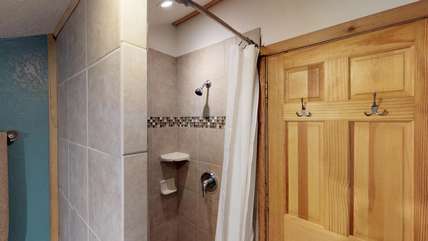 Upper level of the home you'll find 2 private bedrooms, a large open loft and a full size bathroom with a walk in shower. 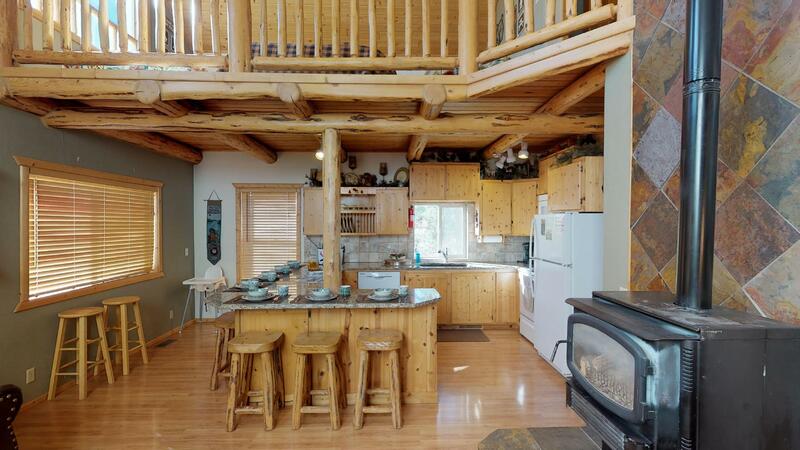 The spacious deck offers a peaceful spot to sit back and enjoy the charming forest and mountain views. The back portion of the deck holds the private hot tub for the that much needed relaxation after a long day of hiking or snowmobiling. 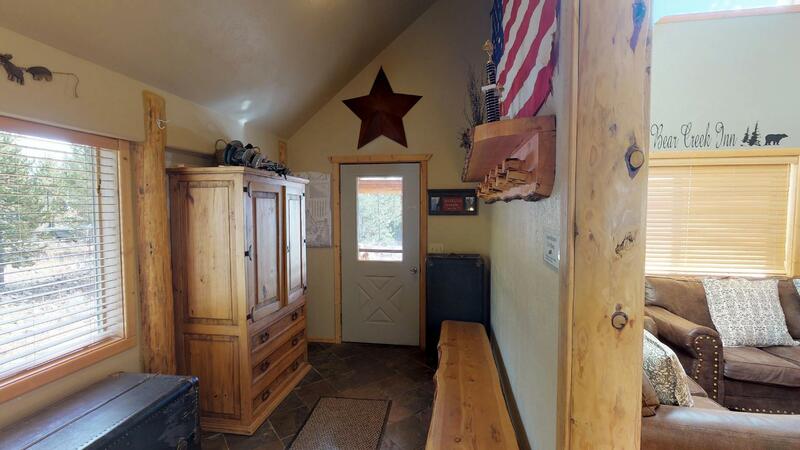 This cabin has enough room for vehicles and short ATV trailers. 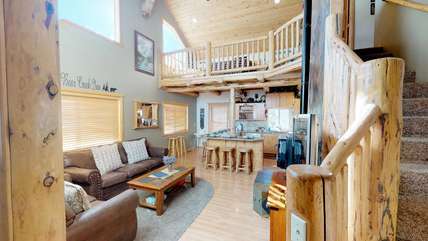 If yours happens to be to long we have plenty of space within the resort to accommodate larger vehicles and trailers. 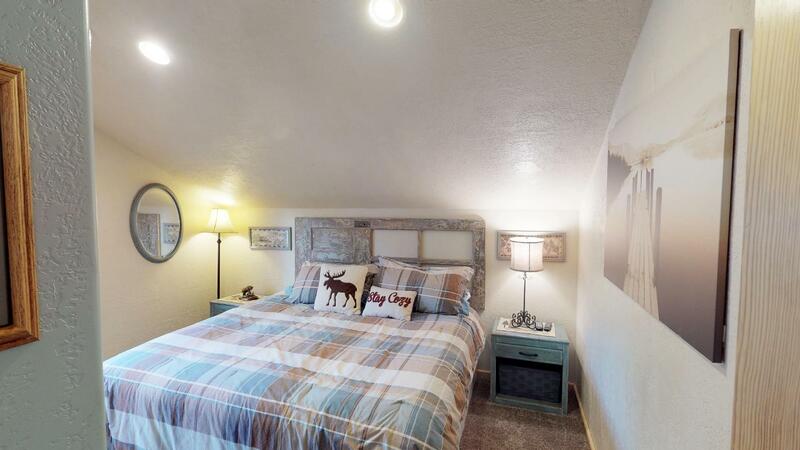 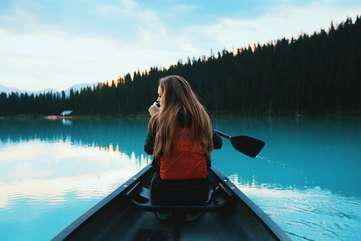 With Bear Creek Inn you'll enjoy your trip away from the everyday life but it's still convenient enough to experience the best that Island Park has to offer. w/ TV and DVD player. 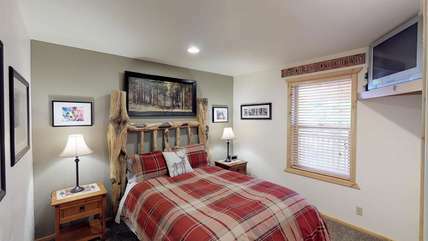 1-Queen Bed and TV with DVD player. 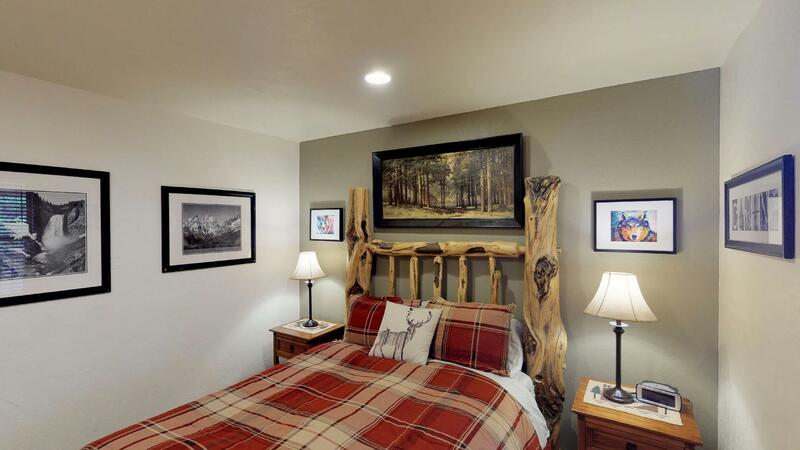 1-King Bed and TV with DVD player. 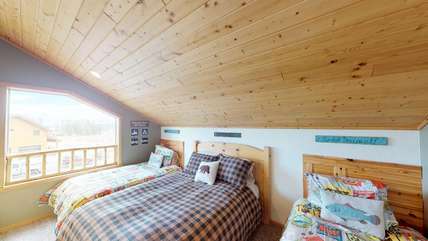 Loft-1-Queen Bed and 2-Twin Beds.